A Better Dream: Rainy Day Fun? 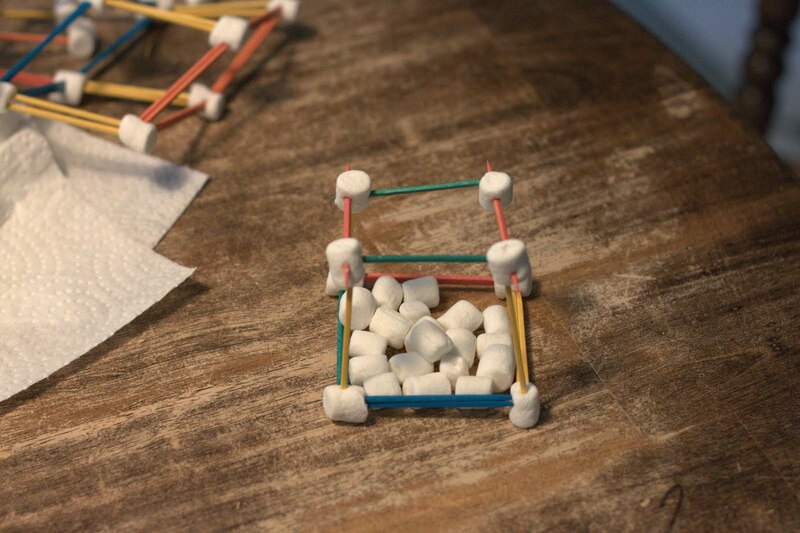 E recently brought home a project he created at school using marshmallows and toothpicks. I then modified it to use with my students to teach vertex, edge and face of 3-dimensional objects. It worked like a charm and the kids, even middle schoolers, really got into it. E ate quite a few of these, but Little Miss was not a fan. No, those are not the hands of one of my children, but my husband. He got in on the fun too and couldn't wait to carry out the plan for his "chair". E helped Little Miss make a roof. Here is Little Miss' creation; I believe this is Memere and Pepere's house, including all the rooms. Now, to get to the reason behind the question mark in my title. This project did not go quite according to plan and the pictures are deceiving. E had several mini melt-downs while trying to create his elaborate visions. 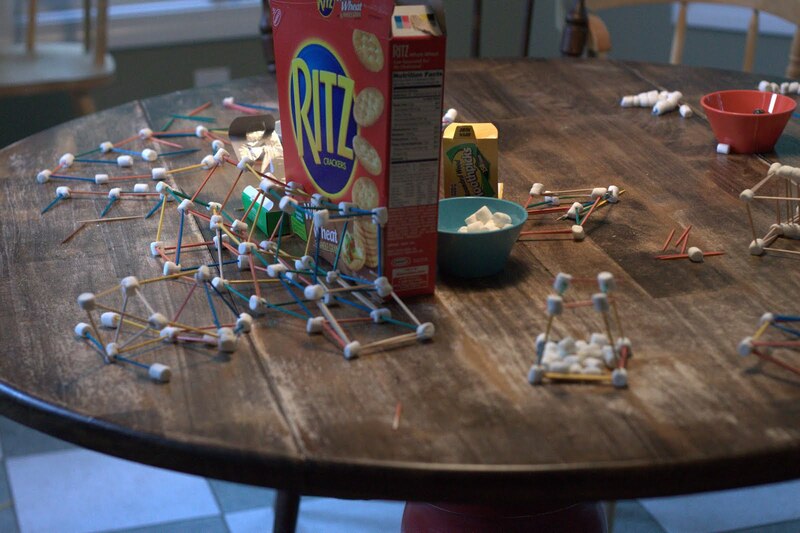 Unfortunately, I think the marshmallows were too soft and things were toppling over ...not good! We put the marshmallows in the refrigerator and hope to try again. The empty Ritz cracker box served as reinforcement for the truck. In the end I think everyone had fun, but it was a little rough for a while. NOTE: I originally used plain toothpicks for the project, but the colored ones added some fun whimsy. my little engineer would love this craft! thanks for joining in the giveaway fun on my blog. have a happy day. just found stumbled into your blog! !